"They were so un-puppy like, they were very quiet ... and to see them now acting like proper puppies causing chaos is just lovely." 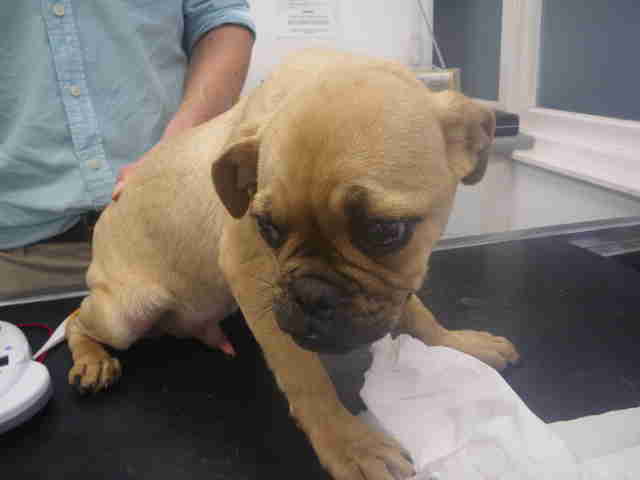 After receiving some anonymous tips that someone was selling extremely sick puppies out of a van, the RSPCA decided to investigate the situation. 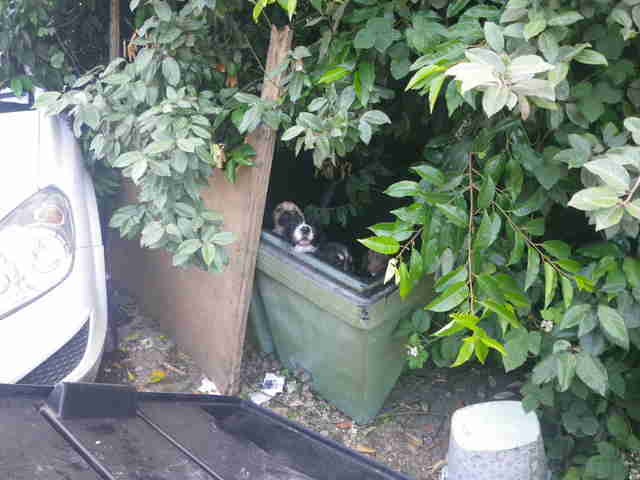 Mel Fisher, an inspector with the RSPCA, went out to where the van was last seen, and was completely shocked by what she found. 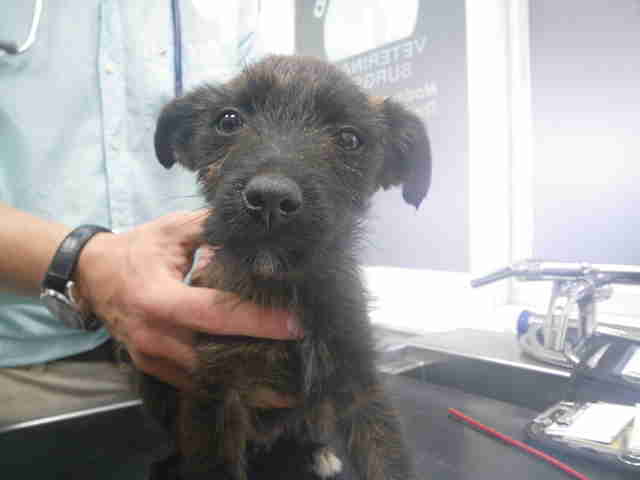 Fisher discovered the van dumped nearby, completely empty — and huddled up in a bin in a bush next to the van were nine very scared little puppies, all of different breeds and ages. “It was during a hot spell so they were panting and really quiet because they were in such baking heat,” Fisher said in a press release. 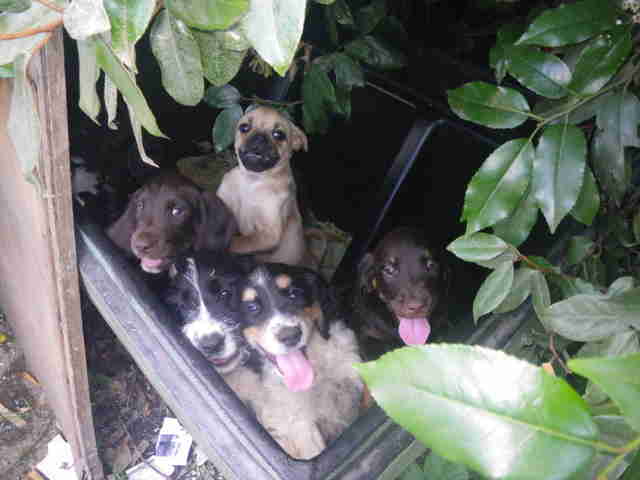 It was unclear how long the puppies had been sitting in that bin, and they barely moved when Fisher approached them. 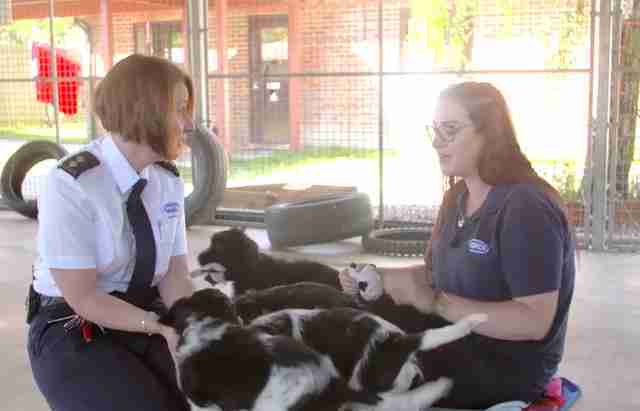 Knowing they would need medical attention as quickly as possible, Fisher scooped the puppies up and rushed them to a nearby vet practice to get checked out before transferring them into the care of the RSPCA’s Blackberry Farm Animal Center. Since the puppies had been left out in the scorching sun for so long, they were very sickly, and the staffers at the shelter were concerned that they might not pull through. “When they first came in they were lethargic and quiet, they had diarrhea and [we were] quite worried,” Fisher said. Miraculously, though, all nine puppies managed to recover, and within a few weeks, they were finally acting like normal, spunky puppies. Their rescuers decided to name them Agnes, Barbara, Cheryl, Davina, Denise, Jerry, Jim, Joey and Norman. “[When we rescued them] they were so un-puppy like, they were very quiet and very thirsty, and to see them now acting like proper puppies causing chaos is just lovely because they are little personalities again, which is brilliant,” Fisher said. As soon as they were all completely healthy, the nine puppies were put up for adoption, and it didn’t take long before each and every one of them was placed in a loving forever home. Now they’re all safe and happy, and absolutely loving life with their new families. Even though they’ve all found new homes already, the puppies have become something of local celebrities, and will be appearing on the TV show “The Dog Rescuers” very soon. All nine of them will also be reuniting later this month for an RSPCA event. Despite their rough start to life, the puppies are living the dream now, and everyone who helped rescue them is overjoyed to see how well they’re doing.